This remarkable collection contains some of William Shakespeare's most famous speeches, soliloquies, and sonnets, as performed by Sir John Gielgud, the preeminent Shakespearean actor of the 20th century. Debuting on Broadway in 1958, Ages of Man became a worldwide sensation, selling out theaters all over North America, France, and even behind the Iron Curtain. Its selections are divided into Youth, Manhood, and Age, including scenes from such masterpieces as Hamlet, Macbeth, Julius Caesar, and King Lear. This exquisite, Grammy-winning recital is a perfect introduction to Shakespeare for the uninitiated and a thrilling treat for aficionados. I am thrilled to see that this classic recording has been issued as an audio download! 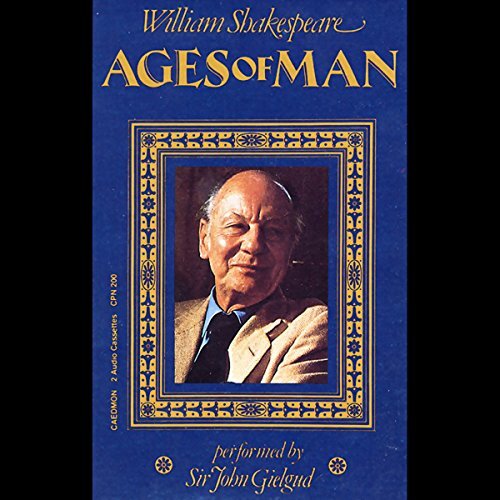 Originally devised as a one-man recital for the theatre, AGES OF MAN is a marvelous selection of Shakespearean speeches sublimely performed by Sir John Gielgud. It provides an excellent introduction to Shakespeare, and has been an inspiration to actors, scholars, and fans of the poet's work for decades.